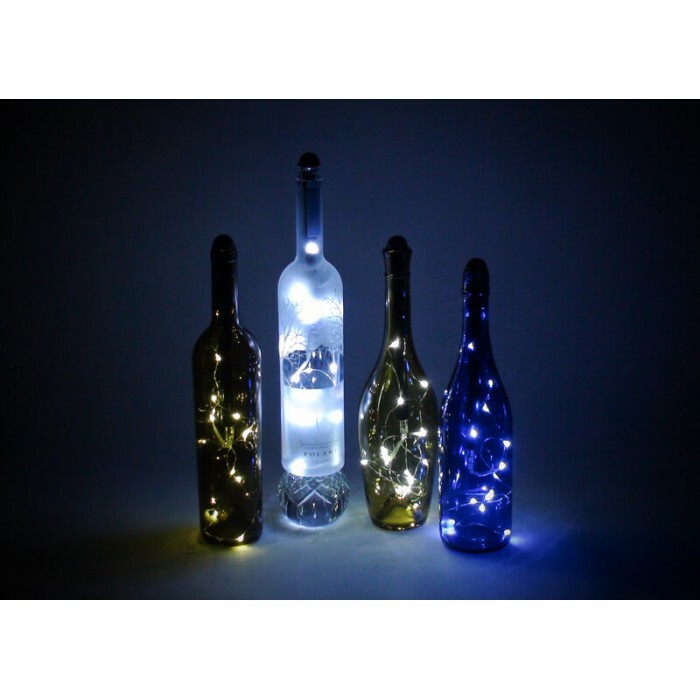 Instantly turn empty wine and liquor bottles into beautiful lighted works of art with the Light My Bottle wine bottle light! 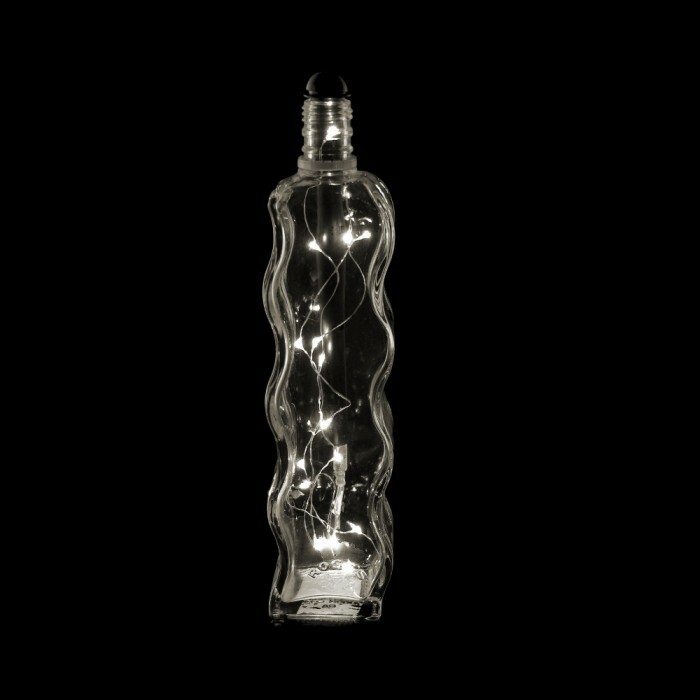 Simply insert the fairy light string and battery holder into the top of the bottle and press down on the top to turn it on. Great for wine & liquor bottle displays. 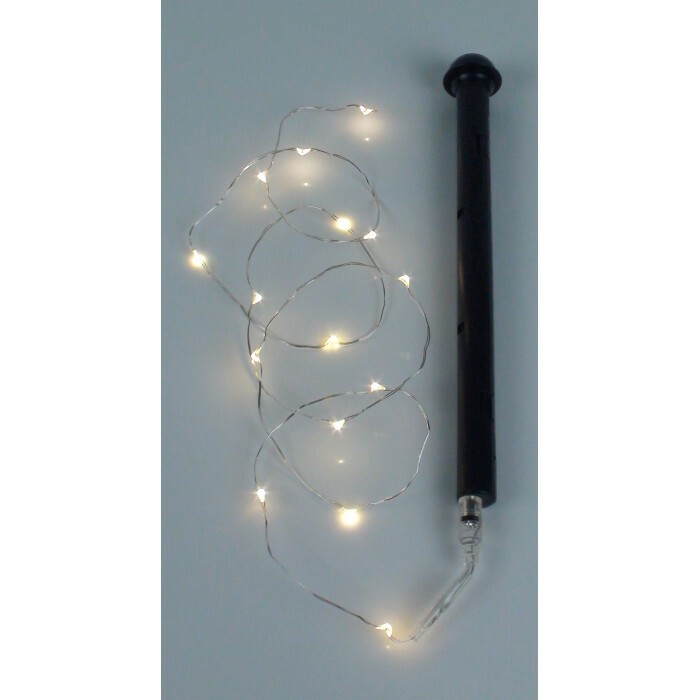 A truly unique idea for weddings & events! Requires 3 x AAA batteries, not included. Quantity discount combines with all other wine bottle lights.